What use are social media? Are they any more than time-fillers for the chronically underemployed? 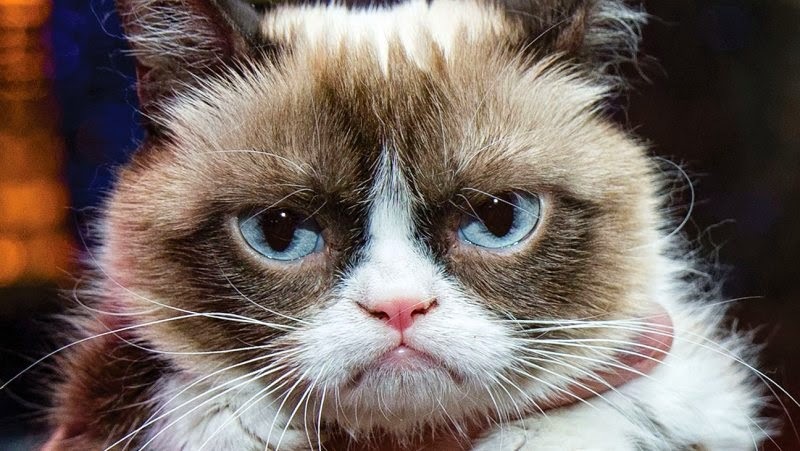 Personally I am sceptical about Facebook, which seems to be a platform for sharing hilarious cat videos and photos of your family with people who have little interest in either. Though my wife seems to organise most of her admittedly limited social life through Facebook quite satisfactorily. It’s more business-orientated equivalent LinkedIn delivers regular endorsements of skills you haven’t got from people you have barely heard of, plus valuable reminders to congratulate contacts on the anniversaries of taking up jobs from which they have long since been sacked. To be fair, those of my acquaintance who have not rendered themselves unemployable through age, infirmity or incompetence tell me that it is a useful channel for both finding work and then recruiting younger and cheaper people to do said work for them. Then there is Twitter, surely the greatest time-waster of them all? Tuned to the gnat-like attention span of the young with its ludicrously tight 140 character limit in which to convey your message, and full of inconsequence and bile. Well no, actually, not entirely. 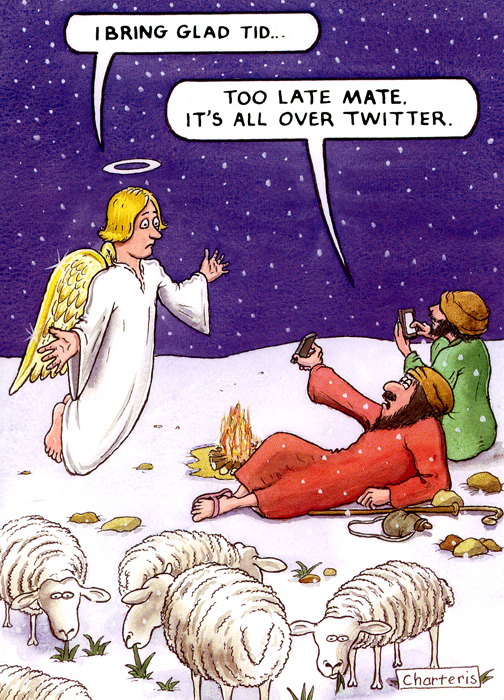 As a much Tweeted Christmas card points out, in 2014 the angel of the Lord would find that his glad tidings of great joy were old hat to the shepherds, who’d already have read all about it on their smartphones. Nearly every piece of breaking news in the last year has reached me through Twitter rather than broadcast media. Indeed on more than one occasion I’ve tuned in to the TV news to learn more about some event widely reported on social media only to find no mention of it all, as broadcasters presumably sought corroboration through official channels. Then there is the great boon of enhanced customer service. Let me give you an example. At the beginning of December I ordered some parts to rebuild my elder son’s electric train set, after it had been comprehensively trashed by his younger brother. So after a few more days I posted a Tweet containing the firm’s name and the words “shocking customer service”. Within half an hour I’d had a personal email from a director of the company (unknown to me, but acquainted with one of my Twitter followers) and very shortly after that my order was on its way. All right, I’d jumped the queue and as an Englishman I naturally have my reservations about that, but it seems to be a trick that most of us can pull. Because every business cares far more about its public image than it does about you as an individual customer. So complaining about your lousy train journey on Twitter is the equivalent of having your private conversation with Customer Services relayed over the tannoy at the Central Station. Their Twitter feeds suggest that even notorious offenders like the energy companies are far more effective at dealing with complaints presented to them through Twitter than with those that arrive by more conventional channels. Which admittedly isn’t hard, since my experience of writing letters and sending emails to my electricity provider is strangely akin to dropping a brick down a bottomless well. As I write I am still waiting to see whether Twitter will help me track down the important Christmas present that I supposedly signed for at 17.01 on Sunday, but which in fact never arrived at all. Even if it ultimately fails, I know that both the sender and the courier are on the case, and I’ve been spared hours listening to hold music on the phone. So give it a whirl yourself. Don’t say this column never tells you anything useful, and have a Christmas so merry you’ll want to go on Twitter to tell the world about it.